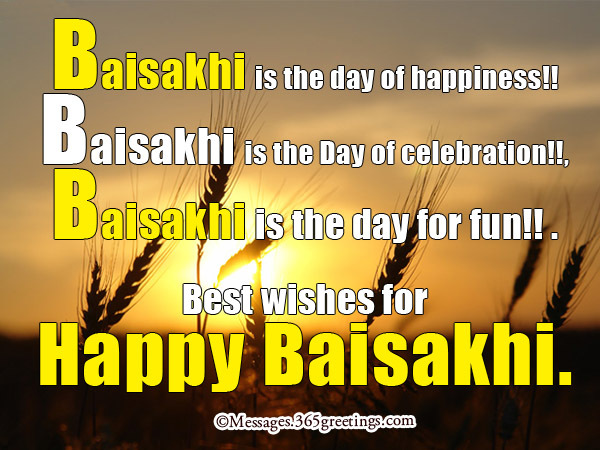 Baisakhi Messages can express your Baisakhi greetings and Baisakhi wishes to your family and friends on this special occasion. Your Baisakhi wishes can also be expressed in different ways like Baisakhi SMS, Baisakhi text messages and Baisakhi card messages. On Baisakhi Day, you can set up a Baisakhi facebook status to join the celebration.